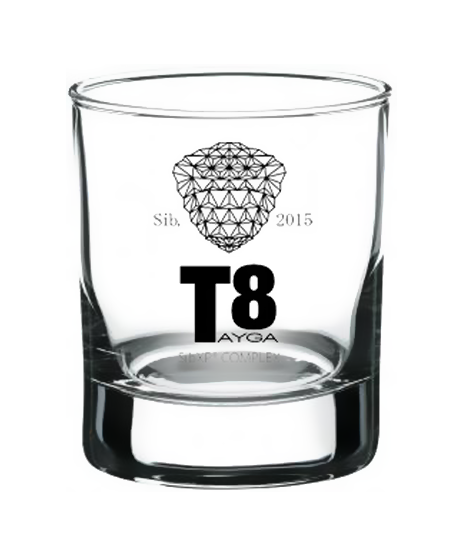 Branded glass with T8 logo for making drinks based on T8 Extra cellular concentrate. Elegant appearance, classic shape, high-quality glass. Due to the wide base it fits comfortably in the hand, and the thick walls and bottom make it durable. Perfect choice for personal use and a stylish gift for friends and loved ones.